The new update adds a new “Listen” tab in the Home app, which enlists over 200+ cast-compatible music apps, which also includes popular music streaming services such as Google Play Music and Spotify. The main utility of the new tab is to offer easy content curation and playback on TV or other Google Cast connected devices. The new tab is placed in between the “Watch” and “Discover” tabs. It wants to provide ease of content access to the users. There are more than 40 million songs available, on 200+ cast-compatible music and audio apps, to listen to on your favorite speakers. That’s a lot of music to choose from, so today we’re making it easier for you to find the perfect playlist, album or artist to listen to with the new Listen tab in the Google Home app, a dedicated space for all your favorite music. In the new Listen tab, users are offered a list of ready-to-stream and customised music albums curated from user’s favorite music apps like Spotify. 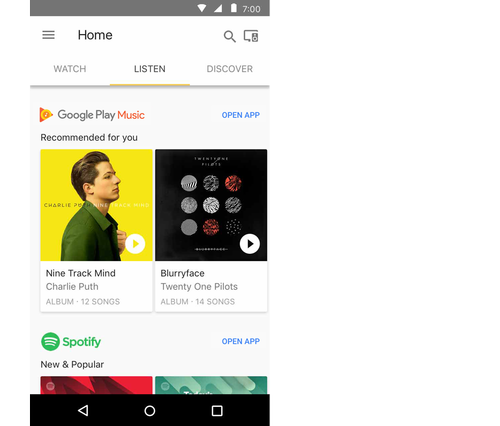 In addition to Google Play Music and Spotify, the new tab will also include other already installed music apps on your device. There will also be a section that lets you discover new music apps. 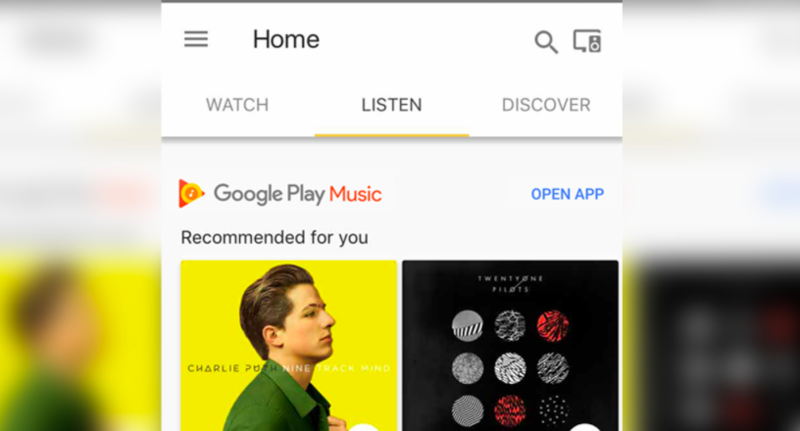 All these features would be pretty helpful for the users who want to listen to new music or access their favourite songs easily then Google Home app’s Listen tab would make it easier to find great music that you want to cast to speakers or TV. To download the Google Home app, go to the Google Play Store or the App Store. If you already have it then check if your app shows the new “Listen” tab and try the feature. You can share your experience in the comment section below.